Every year, ASCE’s student chapters build on the tradition of civil engineering in a wonderfully visual way. They participate in competitions to design and construct structures that need to maintain their integrity in the face of real life pressure. At the National Student Steel Bridge Competition, students design and construct bridges out of steel. 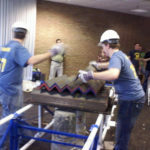 At the ASCE National Concrete Canoe Competition, they design and construct canoes out of concrete. These events are a great way to share the profession with the public and younger students. Just a few days ago, Clemson University in South Carolina hosted this year’s National Student Steel Bridge Competition where 47 teams from the United States, Canada, Mexico and China competed to win. University of California, Berkeley took first place while contenders from Massachusetts Institute of Technology and California Polytechnic State University, San Luis Obispo earned the second and third place prizes. The 25th annual National Concrete Canoe Competition will take place June 14-16 at the University of Nevada, Reno. Winning teams from the 18 conference competitions held throughout the country during the spring come to the national competition to try to row swiftly to victory. If your section or branch is searching for new ways to promote the profession, visit the Student Steel Bridge Competition page or the ASCE National Concrete Canoe Competition and find out which universities in your area compete. 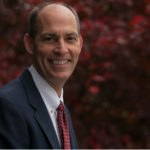 Arrange a visit with some of the student and faculty team members and get engaged. Reach out to your local media with pictures and help attract publicity for the local teams or the regional competitions. If you are visiting local schools, ask students whether a canoe made out of concrete could float? Then explain the engineering principles involved and show them photos from the website. Take advantage of these annual student competitions. If a picture is worth a thousand words, the value of these highly visual events as a means to raise the public’s perception of the profession is priceless. Student competitions are great for many reasons. 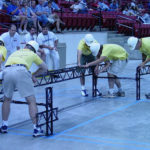 I have attended several as a spectator & judge due to involvement with ASCE. However when I was a student member several years ago, I don’t recall such activities on campus, although I was a student ASCE member. Concrete canoe, steel bridge, national & regional competitions. Maybe FE exam pass rates could be presented in a more open manner to create competition there too!